It would be easy for us to give you a Top 10, a Top 50 or even a Top 100 list of reasons to meet in Oklahoma City, but for now, we&apos;ll stick with our Top 5. Oklahoma is the in the center of the U.S., Oklahoma City is in the center of Oklahoma and downtown Oklahoma City is in the center of it all. We&apos;re easy to get to no matter where your attendees are coming from. And, with our convention center just steps away from a number of hotels, restaurants, entertainment and attractions, everything you need for a successful meeting is in one convenient location. We&apos;ve been referred to by some as The Big Friendly. Spend any time here, and it&apos;s easy to see why. With a metro population of 1.3 million, Oklahoma City is large enough to enjoy the benefits of a modern, urban metropolis; we&apos;ve just never lost our Oklahoma charm. Our low cost of living in Oklahoma translates to a low cost of meeting in Oklahoma City. Everything from room rates and facility rentals to restaurants and entertainment is relatively inexpensive, especially given the variety of options here. We certainly are affordable and stack up well against cities of similar size. Since 1993, Oklahoma City has seen more than $5 billion of public and private investment in quality-of-life projects and improvements throughout the city. 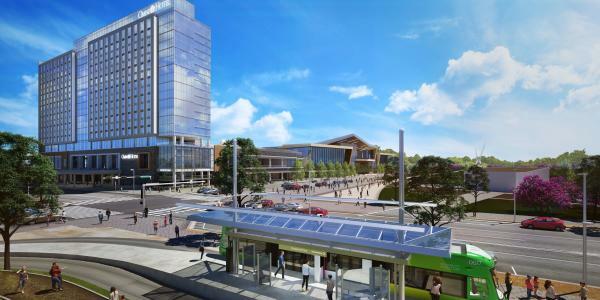 Our new streetcar system opened in 2018, and by 2021, we will see a new convention center, headquarter hotel and downtown park. There&apos;s an energy here. Positivity. Optimism. It&apos;s the kind of place you want to be. It&apos;s the wow factor that makes you realize you picked the right place to meet. This one pretty much sums it up – we just don&apos;t have the stress and hassles you&apos;ll find in other cities. Our airport is large enough to have the direct flights and easy connections you want, but small enough to navigate without stress, and we have a safe, walkable downtown packed with everything you need for a successful event. Do we have you convinced? Submit an RFP below and let our team help you get started.